Its vastness incorporates beautiful countryside and ancient villages, plus its high-tech cities are a vision of the future. Which all makes China worth seeing right now. For evidence of China’s future-centric ambitions, you need look no further than its plans for Beijing Daxing International Airport, currently being built to accommodate the world’s fastest-growing aviation sector. The futuristic terminal, designed by Zaha Hadid Architects, is expected to open in 2019, at a total projected cost of $13.1-billion. Some 45-million people are expected to pass through it each year – and that’s just for starters. Expansion projects will ultimately increase capacity to 72-million people. These numbers also serve as a warning: China’s domestic travel market is massive, and locals are exploring in unprecedented numbers. Visitors are cautioned to expect queues outside virtually all the must-see, must-do attractions. It’s crowded, hectic and full-on. And the majority of tour packages will attempt to zip you from one major sight to the next, with limited chance to reflect or absorb the “real” China. If you’d like to breathe it all in, insist on a slower-pace itinerary and rather see fewer highlights – take time to explore the backstreets on foot, amble through public parks, and pause at traditional teahouses and temples (ones that aren’t tourist attractions). Once described as “the Death Star with a superior percussion section”, the controversially expensive Beijing National Stadium – aka Bird’s Nest – was constructed for the 2008 Olympics and is now primarily a tourist attraction that costs $11-million each year to maintain. 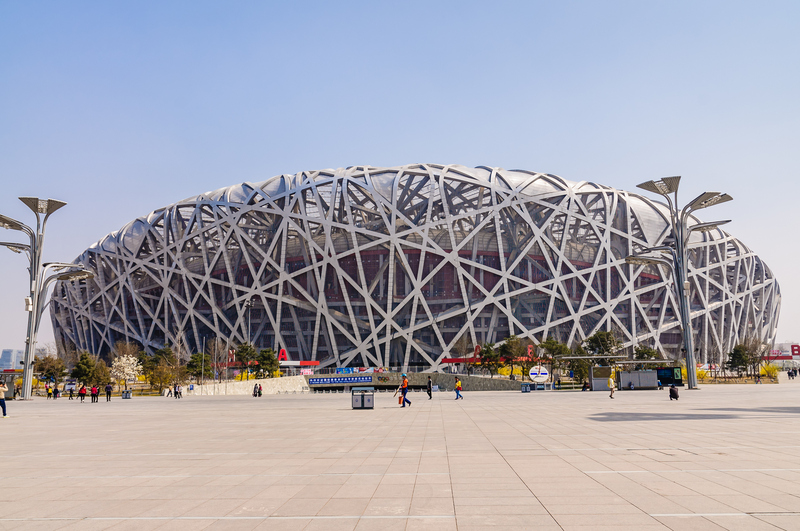 It’s occasionally used for football matches, pop concerts and other events, but also serves as a symbol of Chinese optimism and forward-thinking, which is further witnessed in Beijing’s crane-filled skyline and swathes of mind-blowing contemporary architecture. Yet, even with the rush of development, Beijing retains a strong connection with the past. 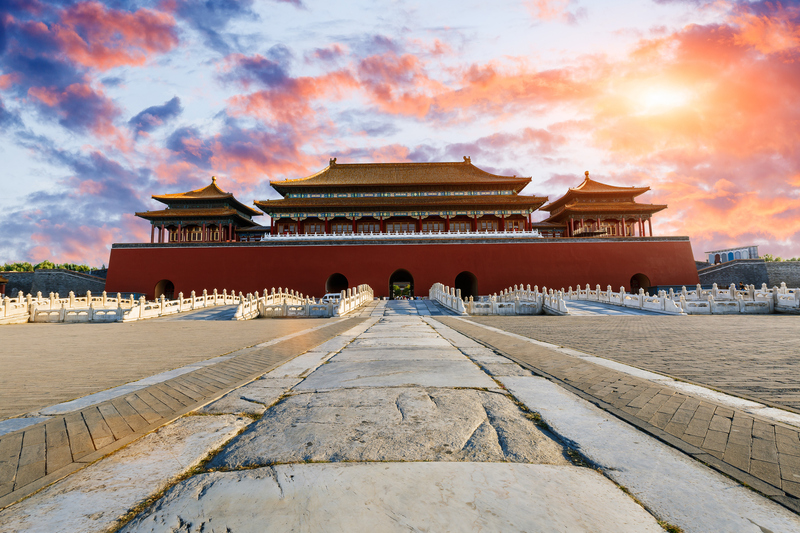 Along with the Forbidden City at Beijing’s heart and the Great Wall touching its outskirts are the grid-like hutongs – alleyways lined with old residential buildings – that originated in the time of Kublai Khan. In these lanes you’ll discover fruit sellers, knife sharpeners and coal merchants still hawking their wares from bicycle carts. You’ll also stumble upon hip restaurants, hidden bars and slick boutiques. Other historic touchstones include the tranquil Temple of Confucius, where tall stone slabs are inscribed with the names of generations of scholars, and the National Centre for Performing Arts in Beijing, where you can experience a dramatic blend of singing, dancing, mime and acrobatic fighting in a form called Beijing or Peking opera. The city is also a powerhouse of contemporary art, most conspicuously experienced at the 798 Art Zone, a former munitions factory transformed into a cultural precinct bustling with galleries, installations, shops and cafés. Beautiful hotels abound, too. The Orchid (theorchidbeijing) is a boutique sanctuary in a thriving hutong neighbourhood, with just 10 simple, elegantly furnished guest rooms. Near 798 Art Zone, East Beijjing (east-beijing.com) is a laid-back business-leisure hotel with incredible amenities for those who need to mix work with relaxation. The Opposite House (theoppositehouse.com) is hands-down the hippest address in the city. It’s a boutique bombshell with ultra-minimalist rooms (stark white walls and wooden bathtubs) and a super-central location in the heart of the Sanlitun shopping and nightlife district, which makes it useful for getting to Beijing’s widely dispersed historic attractions. It’s within walking distance of Beijing’s hottest bars and restaurants, including much vaunted Duck de Chine, although the hotel’s own Jing Yaa Tang is currently considered the “in” place for Peking duck. Construction on the Forbidden City started in 1406, under Emperor Yongle, and ended in 1420. It was once a “palace city”, where ordinary people were forbidden entry. In ancient times, the emperor was said to be a son of heaven, and his residence on earth was built as a replica of the Purple Palace where God dwelled in heaven. It served as the imperial palace of the Ming and Qing dynasties for 560 years until 1911, during which time 24 emperors lived there. Now known as the Palace Museum, it’s considered a high point of traditional Chinese architecture, and is the largest ancient palatial structure in the world, consisting of 980 buildings said to contain 9 999 rooms (including anterooms). The property is surrounded by a 7.9m-high wall and a 52m-wide moat – the distance between the east and west gates is 750m, and 960m between north and south. A five-minute walk from the Forbidden City’s northern moat, The Temple Hotel (thetemplehotel.com) occupies the grounds of a restored Buddhist temple complex – eight of its rooms are carved out of former monks’ quarters and a prayer hall. Natural erosion and tourists are responsible for the steady disappearance of the world’s longest wall. Built in different stages from as early as the third century BC, the wall wends across rugged countryside and up steep mountains, spanning some 21 196km. 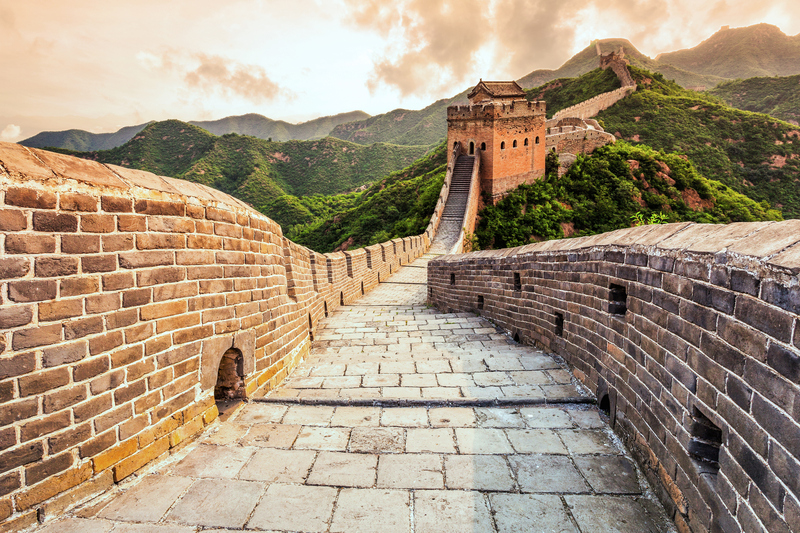 Parts of it are crumbling – rampant brick theft has exacerbated the natural erosion caused by wind, rain and sandstorms – and some 30% of the wall’s Ming Dynasty section is gone. Chinese authorities have even initiated a crowd-funding campaign to finance its restoration. Better preserved sections of the wall closest to Beijing (notably Badaling, which is reached by a suburban train) are the most crowded. Accessed by climbing through a woodland area, Zhengbeilou is a tower popular with photographers for its epic views across the rugged Jiankou section of the wall. From here, it’s a two-hour downhill trek to the restored Mutianyu section of the wall. Xi’an’s Terracotta Army is among the greatest archaeological sites on earth. It lay underground for more than 2 000 years, and was discovered by accident in 1974 by farmers. Two years after Vault One was found, two more vaults were unearthed nearby. The three pits contain around 8 000 life-sized terracotta figures representing soldiers – infantrymen, cavalrymen, charioteers – in full battle array, with vivid, individualised facial expressions. The soldiers were commissioned by Emperor Qin, after whom China takes its name, and have been “guarding” his tomb since 210BC. 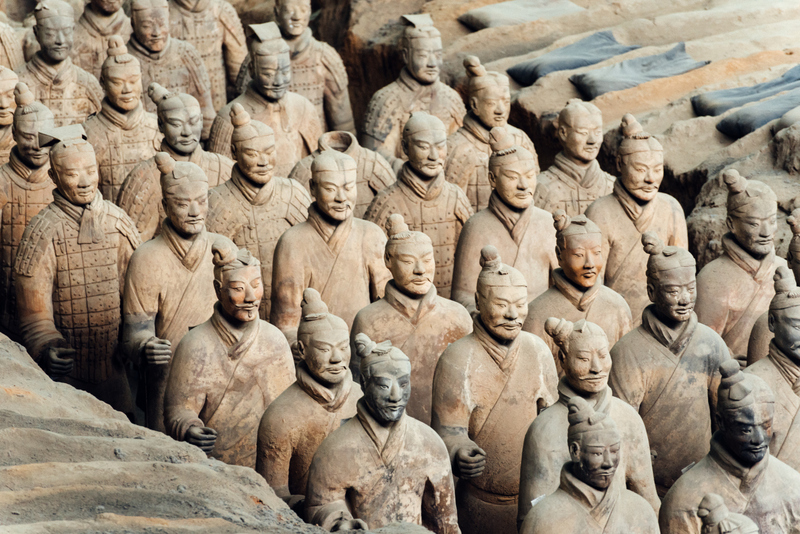 It was believed that statues could be animated in the afterlife – this was to have been Qin’s after-death army. Xi’an’s other worthwhile attractions include Big Wild Goose Pagoda, built to store precious Buddhist scriptures, and the city is home to several of China’s better museums – the Shaanxi History Museum, Xi’an Museum, and the Museum of Han Yangling. Named after the Yellow Emperor (Huang Di), the mythical ancestor of the Chinese who is said to have attained supernatural powers here, the Yellow Mountains (or Huangshan) are known for their “Four Wonders” – peculiarly shaped pine trees, oddly-shaped rocks, the “Seas of Cloud”, and its hot springs. Some of the imaginatively named pine trees seem to grow directly out of the smooth rock, twisting into shapes that have achieved legendary stature. “Greeting Guest Pine” is the most famous in all of China; it’s 10m high and shaped like a man stretching out his hand to guests in a gesture of greeting. Many Chinese folk hang posters of the tree in their living rooms or restaurants, so you’ll probably recognise it. “Flying-over Rock” is a 12m-high rock teetering, impossibly, on a huge ledge. The “Seas of Cloud”, meanwhile, give the mountains their mystical atmosphere, making the tall peaks look like islands in the sky. It’s a phenomenon best seen from November until May, especially after rain or snow, and at sunrise or sunset. Back the 1930s, Shanghai was the “Pearl of the Orient”, today it is the future. China’s most populous megacity is a vibrant, high-octane, cosmopolitan powerhouse that clearly demonstrates the impact of the country’s wide-ranging reforms. It starts with the Shanghai Maglev, a magnetic-levitation train ride from the airport to the city, which reaches speeds of 430km/h and lasts under eight minutes. It’s a quick introduction to the fast-paced city that awaits you. With its towering skyline, marvellous food scene, fashion-savvy population and pulsing nightlife, its best elements reside at the confluence of past and present. Beyond the skyscrapers are the magnificent Old World European mansions and traditional lilong laneways, where streetside cafés serving traditional Shanghainese cuisine give the city’s celebrity chefs a run for their money. Known as “The Bund”, the western bank of the Huangpu River was transformed during the late 19th century into a strip of grand mansions then known as the “Wall Street of Asia”. A stroll along this riverside promenade is an essential Shanghai experience, and some of the finest hotels are here, including Les Suites Orient (lessuitesorient.com) and Waterhouse at South Bund (waterhouseshanghai.com). The latter has 19 rooms in a revamped 1930s dockyard building, with an open-air rooftop bar for cocktails overlooking the river. Across the street is Cool Docks, a riverside precinct of cafés, restaurants and bars in a series of former shipping warehouses. Take the elevator to the 100th floor of the 492m-high Shanghai World Financial Centre (nicknamed “The Bottle Opener” because of the trapezoid aperture on top), and step into the Sky Walk, a glass corridor affording exhilarating views over the metropolis. The heartbeat of Shanghai’s thriving arts scene is M50, near Suzhou Creek. Built by a 1930s gangster, Guilin Park is an immaculate landscaped garden around a pavilion-style private residence. And really to see the future, visit the third floor of the Shanghai Urban Planning Exhibition Centre, where there’s a scale model of Shanghai circa 2020. The Li River flows for 83km between Guilin and Yangshuo County, where gorgeous karst peaks provide scenic surprises around each bend. On river cruises here, you’ll see peasants reaping rice paddies, water buffalo on patrol, and fishermen floating by on their bamboo rafts. One of the most incredible sights here is of fishermen who use cormorants instead of nets. The birds dive beneath the water, where they catch fish that they are unable to swallow because of a cord placed around their necks. And when they resurface, the fishermen retrieve the fish from their beaks. 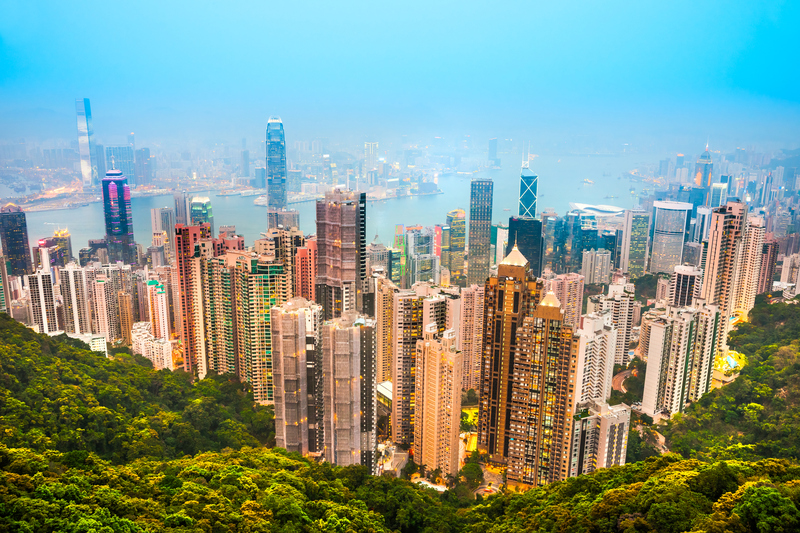 The view across Victoria Harbour from Victoria Peak is a quintessential Hong Kong moment. The city’s skyline is legendary, boasting the second-largest number of high-rise buildings of any city on earth – there are 1 223 skyscrapers and more buildings reaching above 150m than anywhere else, including 36 of the world’s 100 tallest residential buildings. More people in Hong Kong live or work above the 14th floor than anywhere else, making it the world’s most vertical city. In West Kowloon, sky100 is a 360-degree indoor observation deck on the 100th floor of the International Commerce Centre, the city’s tallest building. Although Hong Kong’s urban density is due to a lack of space, some 40% of its land area is reserved as parkland – it’s a surprise to find hiking trails across mountainous terrain, through remote valleys, and leading to hidden, empty beaches. Some, like the MacLehose and Wilson trails, take more than a day. More moderate is Dragon’s Back, a four-hour trail between two hilltops affording sensational views of outlying islands. From Victoria Peak, views are good any time – at night there’s the choreographed Symphony of Lights, when coloured lasers and flashbulbs synchronised to music transform high-rise buildings on both sides of the harbour into the world’s largest permanent light and sound show. According to a 2014 census, China’s wild giant-panda population has grown by 17%, to a total of 1 864, since the last survey in 2003. They’ve consequently been taken off the endangered species list, but the mating-averse, bamboo-eating bears are still at risk, say researchers at the Chengdu Research Base of Giant Panda Breeding (panda.org.cn), where a lot of time is spent trying to encourage the creatures to procreate. The Chengdu facility was set up in 1987 after 250 giant pandas starved to death in the mountains of Sichuan in the 1970s and 1980s. The facility began with six giant pandas rescued from the wild after being found “emaciated” and “walking like zombies”. More than 200 pandas have been born at the centre. 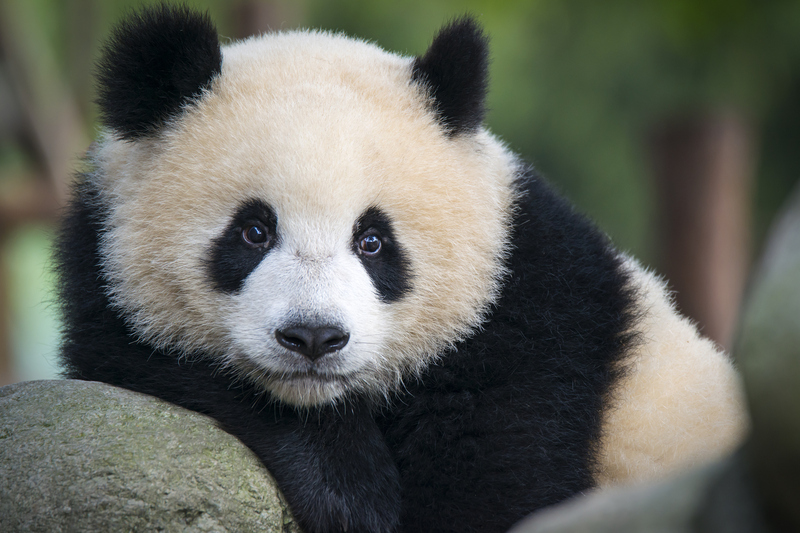 The centre is one of three places (outside zoos) where pandas can be seen up close – the others are Bifengxia Panda Base (two hours from Chengdu), and Dujiangyan Panda Valley (one hour from Chengdu), both of which offer volunteer programmes (pandasinternational.org). At 3 680m above sea level, Lhasa is among the highest cities on earth – a wondrous escape, although foreigners can only visit Tibet on group tours. Obtaining permits is a complicated and time-consuming process, despite recent government promises to simplify the application procedure. Avoid mentioning the Dalai Lama when visiting – Potala Palace was his winter home before he was forced to flee to India, where he heads up his government in exile. Established on Red Mountain in the centre of Lhasa Valley in the 7th century, Potala contains 1 000 rooms, 10 000 shrines and about 200 000 statues. There are 698 murals, almost 10 000 painted scrolls, plus numerous precious artefacts, and a large collection of sutras and important historical documents. Facing the Potala Palace, Lhasa’s most luxurious accommodations are at St Regis Lhasa (stregis.com/lhasa), built in the style of a Tibetan palace, with a meditation garden and a magnificent spa offering traditional Tibetan treatments. A highlight is the heated Gold Energy Pool, lined with 24-carat gold tiles secured by crystals. For a more adventurous experience, there are less well known places to visit, such as the Buddhist caves at Dunhuang, and the great Taklamakan Desert in the far northwest. China’s least populated place is Hoh Xil, situated high on the Tibetan Plateau, 4.7km above sea level. It’s framed by long stretches of snow-capped mountains, dotted with volcanic cinder cones and grassy plains, and inhabited by wild yaks, white-lip deers and Tibetan antelope. South Africans require a visa to enter mainland China, but not Hong Kong. Application forms can be downloaded from capetown.china-consulate.org/eng or visaforchina.org. Ethiopian Airlines, Cathay Pacific, Etihad, Emirates, and Qatar all fly from Jo’burg to Beijing (PEK) and Shanghai (SHA/PVG) via their homebase hubs; Cathay Pacific and SAA fly nonstop to Hong Kong (HKG). China’s internal air network is extensive, with new airports regularly being built and old ones upgraded. Trains are punctual and fast and the network is far-reaching. November is the best time to see China’s autumn colours. It’s also more affordable between November and early March, when temperatures dip. There’s better weather from March through May and in autumn (late September to early November), but prices are generally higher. Avoid holidays – the Chinese New Year and Easter especially – when crowds are sure to break your spirit. Beijing, China - November 21, 2016: The Yonghe Temple, also known as the Yonghe Lamasery, or popularly as the Lama Temple, is a temple and monastery of the Gelug school of Tibetan Buddhism located in Dongcheng District, Beijing, China. Photo taken during the day and contains some people.